Create a National Registry account? From the homepage select Create An Account. Add a user role (Training Officer, etc) to my National Registry account? Select the role(s) you want to request. Add the State EMS Office user role to my National Registry account? AFFILIATE AS A TRAINING OFFICER WITH AN EXISTING AGENCY? Login to your account. Note: You must have the 'Training Officer' role activated on your National Registry account. If you do not already have this role, or you do not have an National Registry account, see the How To Guides listed above. On the left side of the screen, under "My Current Role", select "Training Officer". Scroll down and click on “Affiliate with Agency”. Choose your state from the drop-down menu and click “Next”. Choose your agency from the drop down list. The agency's current Training Officer on file must approve your Training Officer affiliation/role request. 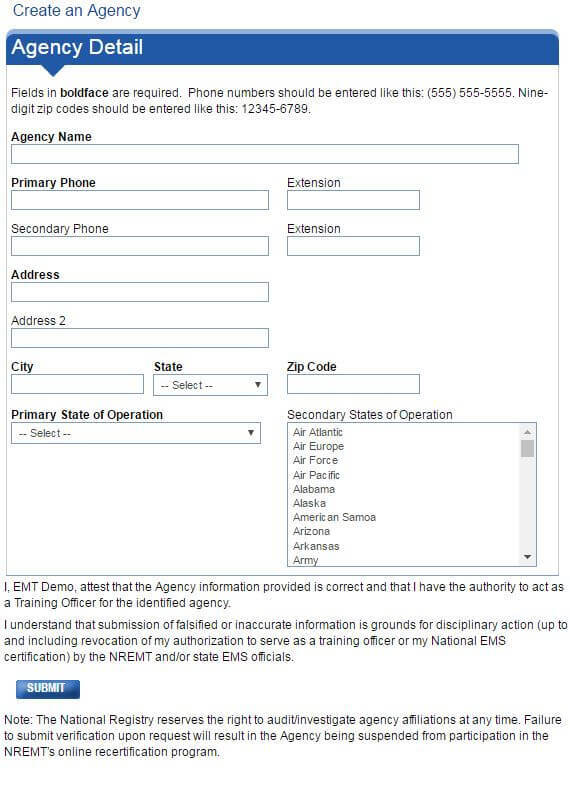 If the Training Officer currently listed for the agency is no longer with the agency, the agency's Director/Chief must send an email to ednet@nremt.org authorizing you to be added as the Training Officer. Please allow 7 business days for change request to be approved. If you need additional assistance, you can contact the EdNet Specialist at directly by calling 614-888-4484, extension 192. Watch this video clip to see the steps demonstrated on our new website! Here is a detailed instructional video demonstrating how to affiliate with an agency. Add the Medical Director user role to my National Registry account? Login to your account. Note: You must have the 'Medical Director' role activated on your National Registry account. If you do not already have this role, or you do not have an National Registry account, see the How To Guides listed above. On the left side of the screen, under "My Current Role", select "Medical Director". Enter your Medical License number. Enter the state associated with the Medical License number provided. The agency's current Training Officer on file must approve your Medical Director role request. If the Training Officer currently listed for the agency is no longer with the agency, send an email to ednet@nremt.org or call 614-888-4484, extension 192 for assistance. This video describes how to add the Medical Director role to a user account. REGISTER AN AGENCY FOR National Registry ONLINE RECERTIFICATION? Use this process if you need to register your EMS agency with the National Registry. 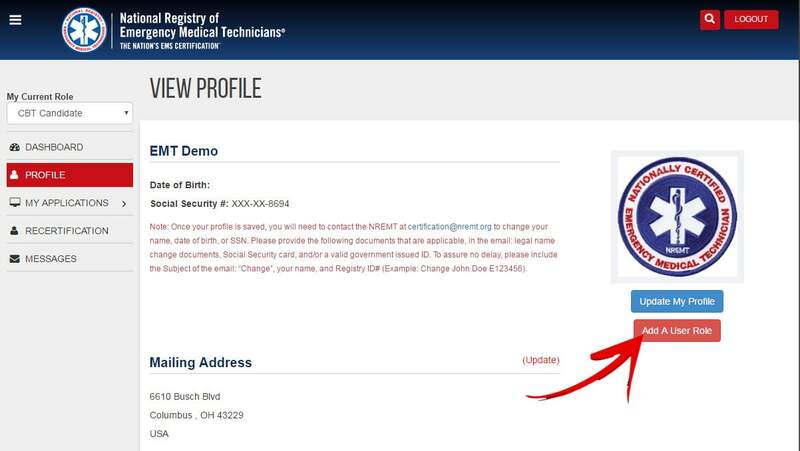 This will allow your EMS providers to affiliate with your EMS agency and electronically submit National Registry recertification applications. This will also allow your agency Training Officer and/or Medical Director(s) to approve electronic recertification applications. Verify your agency is NOT already listed on the drop down list. Verify your agency is not listed, then "Create an Agency Request"
Please allow seven business days for a new agency to be approved. 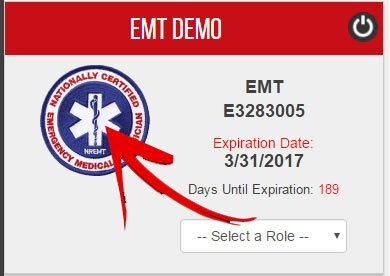 Once the agency has been approved, your National Registry certified EMS Providers will be able to affiliate with your agency. As the Training Officer, you will have to approve their affiliation. If you need additional assistance, you can contact the EdNet Specialist by email ednet@nremt.org, or call 614-888-4484, extension 192.